Earlier this month it was discovered that the TouchID fingerprint home button of the iPhone 5s fits perfectly into the leaked front cases of the yet unofficial iPad 5. 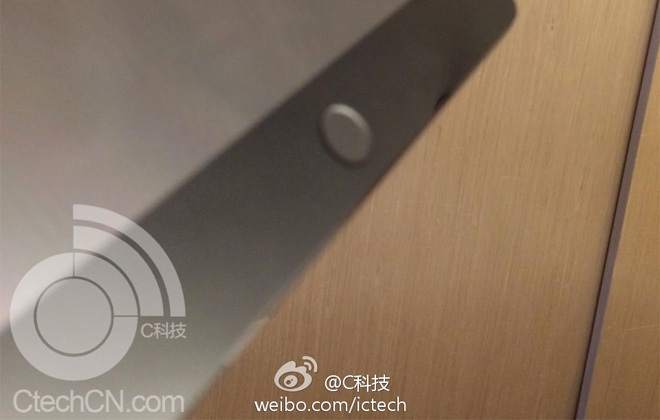 Now, thanks to a leaked photo, the TouchID sensor on the iPad 5 is everything but confirmed. Naturally, the fingerprint sensor will work the same way as it does on the iPhone 5s, but hopefully Apple has worked out more and better ways for the TouchID feature to be encompassed into the OS. Leaked photos and videos of the upcoming iPad 5′s front and rear panels have revealed a lot of similarities to the looks of the current-gen iPad mini. The back is less curvy and the bezels are a lot narrower than before, which results in a more compact form factor for the 9.7″ slate. Apple is yet to confirm an announcement date for the iPad 5, but it’s expected to be before the end of October.